Whether you are new to precision farming, or you've been doing it for years, one thing is clear: the display you choose is the hub of any successful operation. 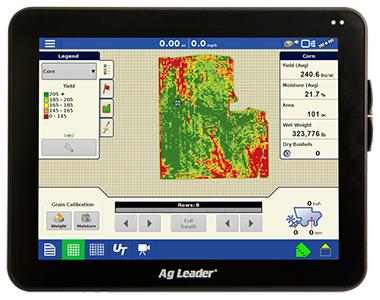 That's why Ag Leader gives you three choices that are easy to use, feature-rich and competitively priced. Contact Brian Rigby at 208-852-0430. See all Ag Leader Precision Farming Equipment including Data Management, Planting with SeedCommand, Application with OptRx® Crop Sensors, Harvest with SteerCommand with GPS Automated Steering and Water Management products. With InCommand 1200, you get year-round efficient machine control plus instantaneous information to simplify crucial decisions that impact your yield and profitability. See vital information in the tractor cab to help you manage machine functionality and react on-the-go to changing field conditions. 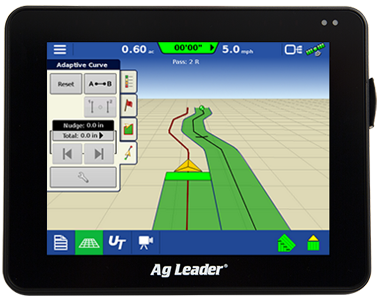 The InCommand 800 display serves as an economical hub for your precision farming operations. Take advantage of our most popular year-round precision tools all in one package: machine guidance control, SeedCommand™ planting control, DirectCommand™ application control, yield monitoring and more. The Compass display offers integrated onscreen guidance to increase accuracy and extend working hours. 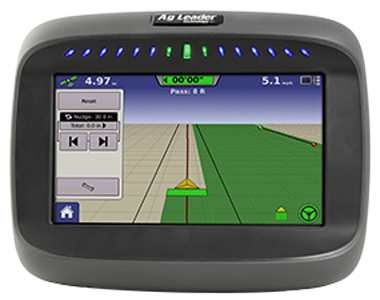 Additionally, the Compass display supports the most common and advanced guidance patterns, including SmartPath™.